If you’ve ever longed to listen to a great comedian who has the best antidote for your stressed-out mind, then you will find it all in Ali Wong. She is not just funny but also very lively. Every word that comes from her is smeared with different comic styles that could make one roll on the floor with laughter and that is in the most literal way. Wong’s talent does not end as a stand-up comedian, you can also see the best of her as an actress, screenwriter, and author. Some of her TV appearances are in films like Are You There, Chelsea?, Inside Amy Schumer, Black Box, American Housewife, and her Netflix specials – Baby Cobra and Hard Knock Wife. While we look into her career, there are lots more to know about this American superstar’s personal life and family history. Alexandra “Ali” Wong was born on April 19, 1982, and was raised by her American-born father Adolphus Wong and mother Tam “Tammy” Wong. Wong went to San Francisco University High School where she served as class president and finished in 2000 before moving to the University of Califonia Los Angeles to study Asian American studies. After graduation, she was offered a scholarship to study in Vietnam. Ali discovered her love for stage performance at the UCLA’s LCC Theatre – one of the largest college theatre company for Asian-Americans, where she was a member. She, however, started as a stand-up comedian after her college years in 2005. Her first appearance was at Brainwash Cafe but she moved to New York afterwards, to further pursue a career as a comedian. Ali has appeared in several talk shows and comedy TV series like The Tonight Show and New York Stand Up Show. She also voiced the character Betty Bird in the 2016 animation movie, The Angry Birds Movie. But her rise to fame came through her special shows as a stand-up comedian. These shows include Baby Cobra which was released on Netflix in May 2016. Her latest TV special titled Hard Knock Wife was released on May 13, 2018. The show follows her 5 credits as a writer and 2 credits as a producer. Talking about her annual earnings and net worth, Ali Wong is yet to reveal how much she is worth. Nevertheless, looking at her successes as a comedian, there is no doubt that she is living a luxurious lifestyle. Some sources, however, put her net worth around $2.5 million. The gifted comedian is married to Justin Hakuta, an educated businessman who is nowhere near her kind of profession. Instead, he runs some raining in Mexico. They became a couple in 2014, and about a year after, they had their first child, a daughter named Marie. Justin Hakuta is the son of an inventor and TV personality Ken Hakuta, best known as “Dr. Fad” of the Dr. Fad Show, that ran from 1988 to 1994. He went to Washington’s Sidwell Friends School and obtained his Bachelor’s degree from the University of Carnegie Mellon. He also had his MBA from Harvard Univerisity and worked for several firms, including Cargomatic Inc, GoodRx and lots more. Hakuta is half Filipino and half Japanese. 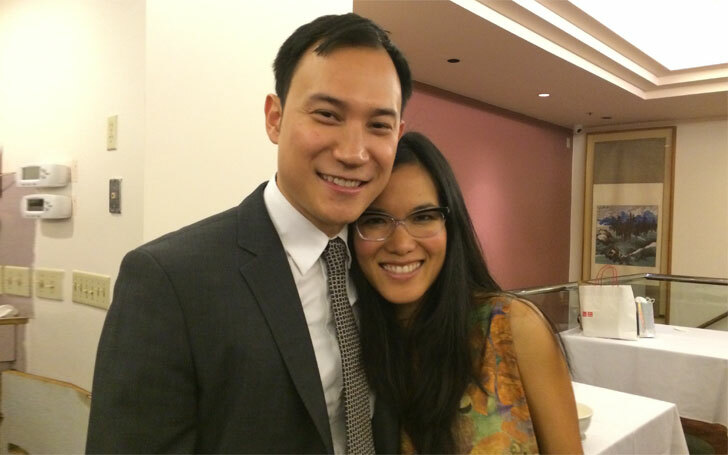 When Wong was pregnant with their daughter Marie, she was featured in the Netflix special where she talked about challenges that come with being pregnant. She was skilful enough to transform the supposed women’s weakness into a strength. Two years after the birth of their daughter Marie in November 2015, Wong and her husband welcomed their second daughter in December 2017. Marie was named after a Japanese author Marie Kondo who wrote The Life-Changing Magic of Tidying Up. The couple still lives together as husband and wife and there is no rumour surrounding them. Ali Wong belongs to a mixed ethnic background of Chinese and Vietnamese. She has three older siblings and among them is Mimi Wong. Even though there is no information about any of her siblings, Ali has, on several occasions, expressed how important they are to her. The Califonia-born actress and comedian is 5 feet 3 inches (1.6 m) tall. Her weight is around 52kg and her chest, waist and hip measures 32-24-34 inches, respectively. The colour of her hair is black while her eye colour is brown.